It starts 16 months ago when I get a call from a literary agent I queried about my novel. We talk on the phone for over an hour. She’ll read my novel, but she’s most interested in this blog of mine. By the end of the call, we’ve decided I’m going to start working on a book proposal for a food memoir. I’m excited. I get right to work that very afternoon. Almost a year later, my mom is visiting us. Though it's technically fall, it’s hot in Los Angeles. We go to Macy’s because Mom has “Macy’s money,” which is what Mom calls her end-of-year rewards cash she gets from using her Macy’s credit card. She wants to buy me something. I’m up for it. We decide on the ice cream attachment for my stand mixer. The next morning, we pick up heavy cream, milk, and some fresh berries. We’re going to make blackberry ice cream. It’s going to be great—perfect for late September. Only we don’t quite get to it. The next morning, Mom tells me that she’s pretty sure I’ll need to put the freeze bowl in the freezer for a few hours before we make our ice cream. So, I open the box and read the directions, which tells me that yes, the freeze bowl needs a bare minimum of 15 hours in the freezer before one can even think of making ice cream. Mom’s leaving the following afternoon. We shrug our shoulders, eat the berries, and decide that I’ll have to make my ice cream without her. I make space in the freezer for the bowl so that next time I’ll be ready. In it, Shapton writes about her career as a swimmer, which can be crassly summed up by saying she was a two-time Canadian Olympic trials attendee though never an actual Olympian. At the 1992 trials, she finishes at 1:17:52, in thirty-sixth place. But I can’t take the freeze bowl out because damnit I’m going to make ice cream at some point and I need the freeze bowl to be ready. I guess I’m telling you all this because in this world the main focus seems to be on results when the vast majority of our time is spent in process, in the freezer for five months, or in the pool before 6am, or at one’s computer next to a sleeping dog struggling to type up your probably non-noteworthy and poorly-written thoughts and ideas. I’m also telling you all of this because now I am faced with the task of actually writing this thing. So while there’s occasion for celebration, there’s also occasion for more work. 1. Put the cardamom in a small skillet and put the pan over medium heat. Toast the pods, stirring frequently, until aromatic, 2 to 3 minutes. 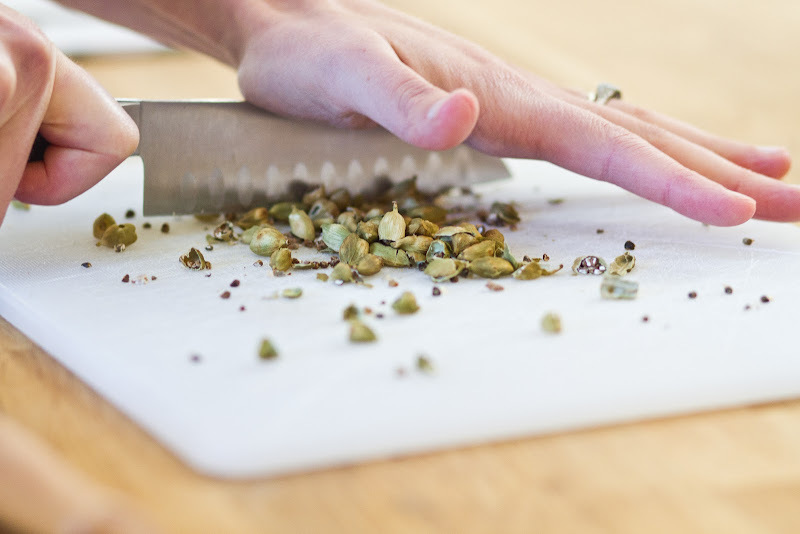 Remove from the heat, let cool for a minute, then use a sharp knife to coarsely chop the pods. 2. 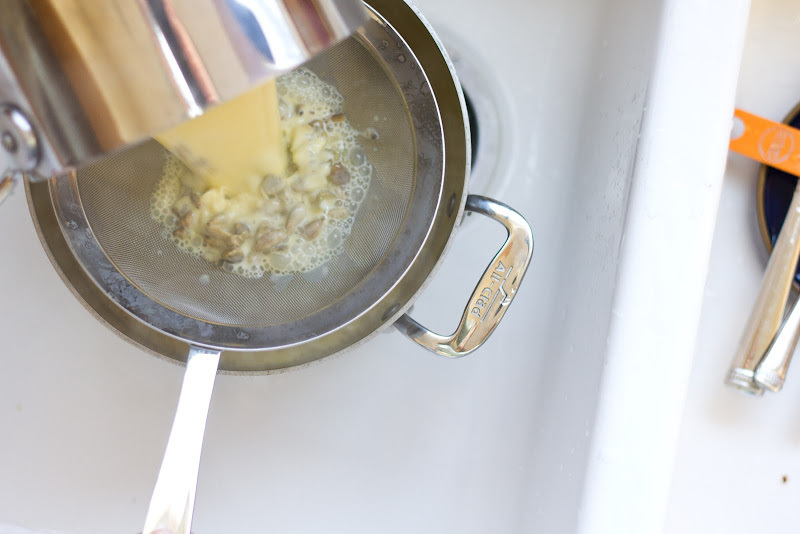 In a heavy nonreactive saucepan, stir together the cardamom, cream, milk, half of the sugar (1/4 cup), and the salt. 4. 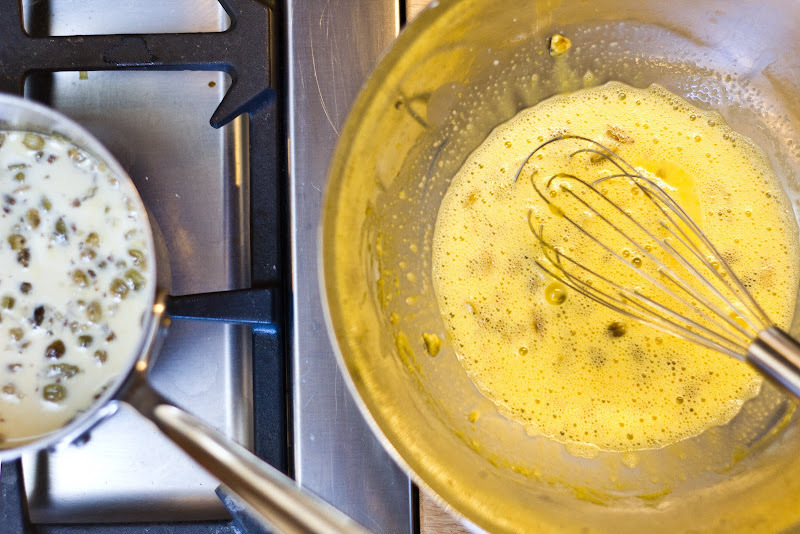 In a medium heatproof bowl, whisk the yolks just to break them up, then whisk in the remaining sugar (1/4 cup). Set aside. 5. 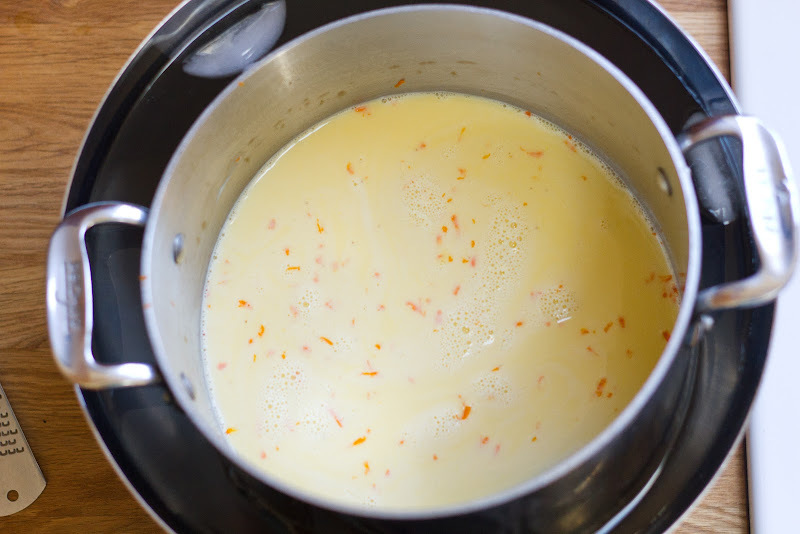 Uncover the cream mixture and put the pan over medium-high heat. When the mixture approaches a bare simmer, reduce the heat to medium. 6. Carefully scoop out about 1/2 cup of the hot cream mixture and, whisking the eggs constantly, add the cream to the bowl with the egg yolks. Repeat, adding another 1/2 cup of the hot cream to the bowl with the yolks. 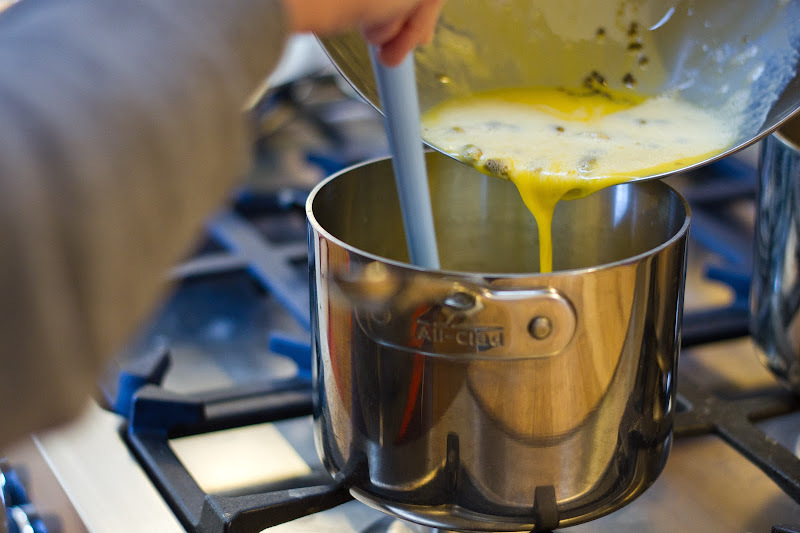 Using a heatproof rubber spatula, stir the cream in the saucepan as you slowly pour the egg-and-cream mixture from the bowl into the pan. 7. 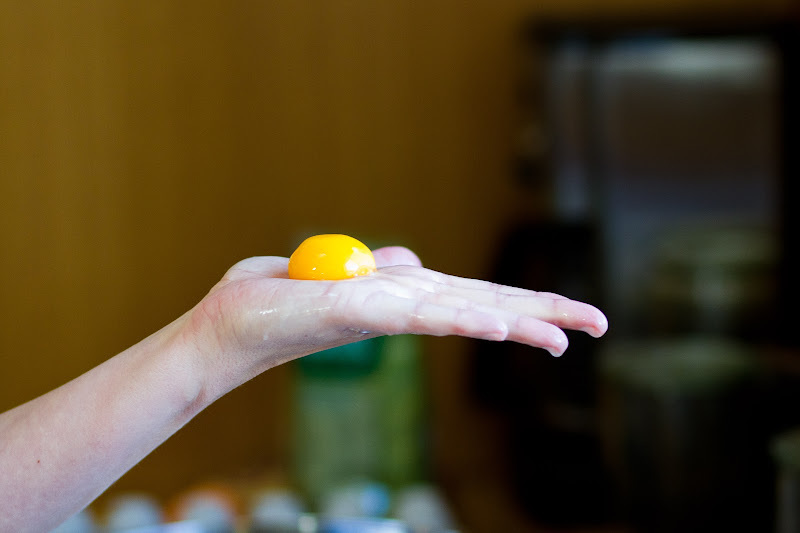 Cook the mixture carefully over medium heat, stirring constantly, until it is thickened, coats the back of a spatula, and holds a clear path when you run your finger across the spatula, 1 to 2 minutes longer. 8. Strain the base through a fine-mesh strainer into a clean container. 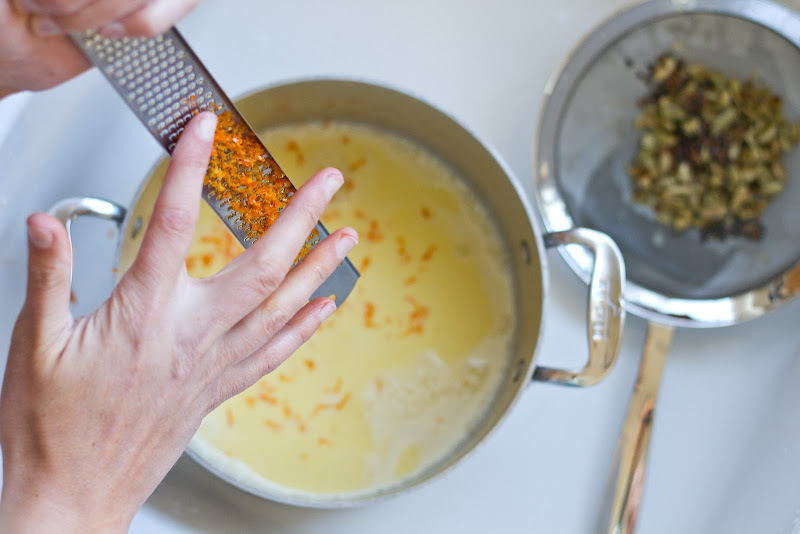 Zest the orange over the warm base and stir to combine. Set the container into an ice-water bath, wash your spatula, and use it to stir the base occasionally until it is cool. Remove the container from the ice-water bath, cover with plastic wrap, and refrigerat the base for at least two hours or overnight. 9. Freeze in your ice cream machine according to the manufacturer's instructions. 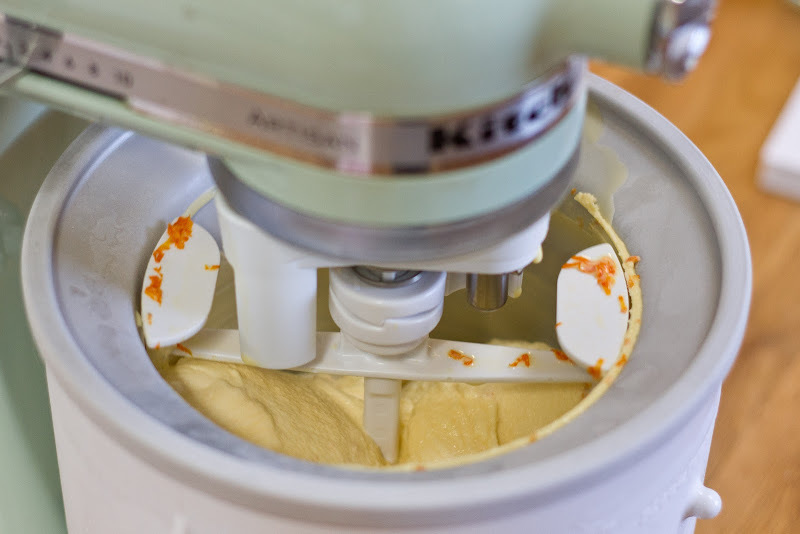 While the ice cream is churning, put the container you'll use to store the ice cream into the freezer. 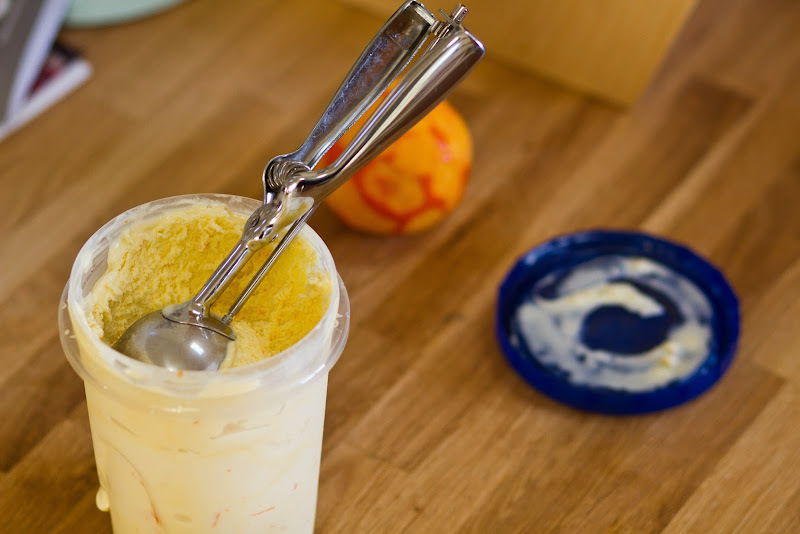 Enjoy right away, or for a firmer ice cream, transfer to the chilled container and freeze for at least 4 hours. 1. 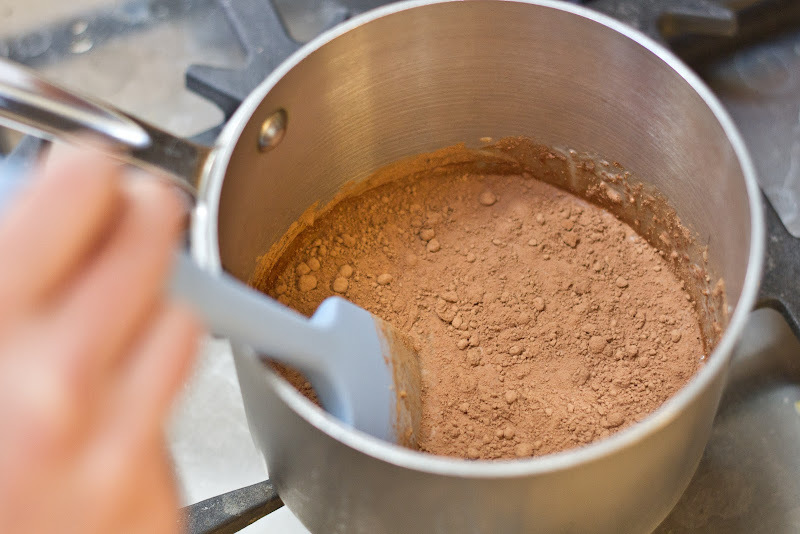 In a medium nonreactive saucepan, stir together the cream, sugar, cocoa, syrup, and salt. Put the pan over medium-high heat, bring to a boil, and cook just until the sugar has completely dissolved. Remove from the heat. 2. 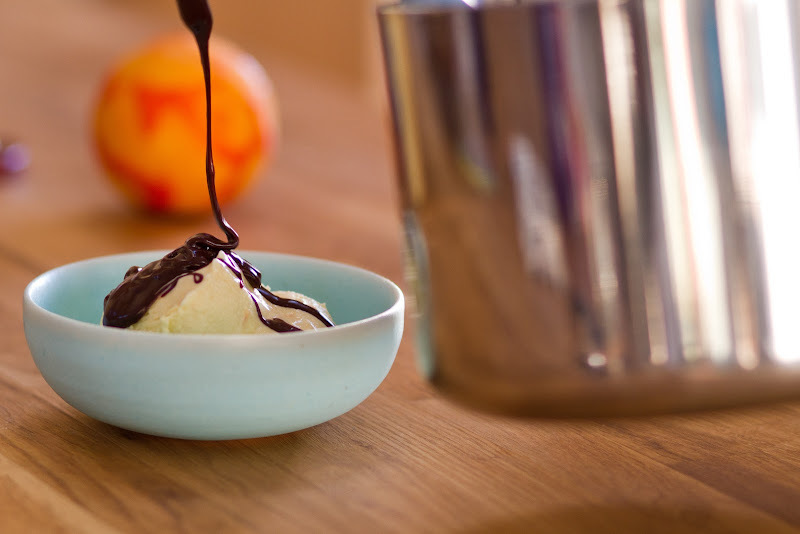 Stir in the chocolate and the vanilla until the chocolate is melted and the sauce is completely smooth. Serve right away or store in an airtight container in the refrigerator (it lasts for weeks.) To rewarm, heat in the microwave at half power for a minute or two. THIs is the best news ever. And I loved this post. Really truly loved it. First thought when I read the title of this blog post?.... HECK YEAH! Way to go!! Congratulations! Well deserved, can't wait to read the book! What great news and an awesome blog entry. 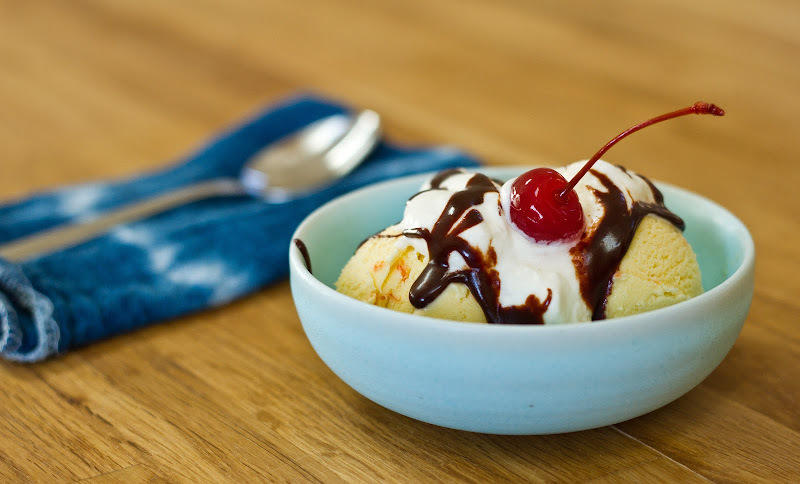 Homemade ice cream is the best, perfect for celebrating! What amazing news! Your writing has always moved me and I seriously can't wait to get my copy! Congratulations! Get me on the waiting list. Hi! I'm a stranger who absolutely loves your blog. Congrats! and thank you! I love this post. super excited to read the book... Are you done yet? 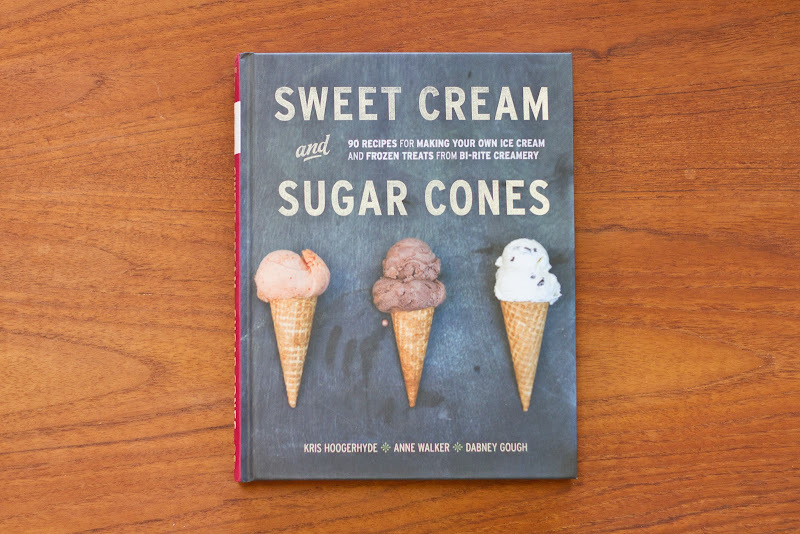 Congratulations on the book and thank you for sharing your meaningful thoughts as well as a great sundae recipe. Love the sophisticated flavours. Congratulations! ~ how beautiful, too, to share the process. "It's about being very, very good when you want to be great" - what wholesome words & very thought provoking, I thought when reading your post: maybe we're our own worst critics at times, because what is "great" - it's using what we already have in the best possible way, which means that it might not comply with preexisting measurements. We have to hold our ground for the measurements to be made for us. Keep on keeping on! Congratulations! I am so proud of you! This was a beautiful post, too. Congratulations! Good luck and have a great time writing your food memoir. We'll be here reading about your progress and eating sundaes. I have never eaten one before but I'm willing to try. I too keep my Kitchen Aid ice cream bowl in the freezer all winter long, just in case, but alas I never use it. Not until spring arrives. I'm a friend of Andrea's and was so excited to hear this fabulous news! Congratulations!! You rock. Totally rock. Can't wait to read it. Congrats. Awwwwww, man. You guys are so awesome. I'll try not to let ya down!! Woohoo! I'm so proud that humor and heart have earned a place in the world of food publishing, thanks to your vision, persistence,quirky upbringing and well...great videographer! Are you going to dedicate the book to gymnastics? I'm actually surprised you didn't weave into this post a gymnastics metaphor about approach vs. landing, honestly. All these years you've been working on your approach to the vault, and the quality of your Khorkina, when the moment most lauded is when you actually stick the landing. BAM! I am honored to have seen the better part of the entire routine, at least from this vantage point. Go you! I am so relieved that this post had a happy ending, missed Olympians and Anne Lamotte could end badly. Congratulations Amelia. I love the way you tie things together, and I'm sure your book will have no shortage of these joyful connections (I want to say meanderings, but not at all in a negative way). I love this sentence and the lesson it contains: "I guess I’m telling you all this because in this world the main focus seems to be on results when the vast majority of our time is spent in process, in the freezer for five months, or in the pool before 6am, or at one’s computer next to a sleeping dog struggling to type up your probably non-noteworthy and poorly-written thoughts and ideas." Congratulations on the persistence of your process, and may you have fun! Dude, right on. I mean, really... RIGHT ON! Huge congrats, Amelia! I'm so very happy for you and wish you all the best! Love this blog post so much. Congrats on your book deal. We love your blog and your tips. Way to go! So amazing!! Your writing inspires me to want to write. Wow such a thoughtful post. Congrats! This part: "I guess I’m telling you all this because in this world the main focus seems to be on results when the vast majority of our time is spent in process..."
THIS is where life is happening! It's happening during the results too but...MAN, you're really hitting it on the head there. I'm growing very tired of stressing the "results". I want to be present. That's all. Nothing and Everything. Have you read Kahlil Gibran's The Prophet?
" Work is love made visible. And if you sing though as angels, and love not the singing, you muffle man's ears to the voices of the day and the voices of the night." So excited for you. Amazing story. Amazing post. Amazing achievement! WOW! Wonderful! I can't think of a book that I'm more excited about! Just cannot wait!!! Amazballs!!!!! DUDE! Congratulations to you! I cannot wait! So happy for you!!! This is the best news since. . . .
Oh wait. Nothing good happens on Downton Abbey anymore. I love the last line of this--about angels singing. As someone who does not sing like an angel but who totally gets what you're saying, this sentence in particular really spoke to me. Thanks for your methods to prepare the ice cream.I will bookmark your blog for the regular visit.Keep good work in the blog. Congrats, Amelia! You are totally up to the challenge and I will be happy to preorder your book when the time comes! This blog post is exactly what I need to hear right now. I'm in the terrible state of mind where I don't think I have the money to actually pursue my dreams. I am getting laid off soon, and I don't know what to do. "Now you can REALLY pursue your dreams!" say my friends. To which I bitterly reply "while my student loans pile up and ruin my credit because I CAN'T PAY THEM? Yeah, sure, follow my dreams. Right." Hurrah! Congratulations to you. I love this post, love the swimming analogy, love all the little gems tucked in here, but most of all I love this good news! You're gonna make me tear up. Hats off to you and big congratulations! 2. Sumanth loves pistachio ice cream - and those cardamoms looked like p-stachios at first. I am a NUT for cardamom, although I always want it to be called cardaMON. Is it the Jamaican in me? 4. Hachette is Miriam P's company, no? It's a GREAT one. 5. Congratufreakinlations. I'm SO happy for you and proud of you. Big congrats on a well-deserved book deal. Can't wait to sit down with a big dish of orange-cardamom ice cream and read the Bon Appe-BOOK (credit to Andrea Short). Congrats on the book! I'm sure it's fantastic! My solution to the freezer dilemma? Two freezers. Seriously! Bon appe-Book! I love it. Thanks so much for your support!! Well Great work! And I too enjoyed those yummy things last week. Thanks for posting such one. Fantastic, congratulations!! I haven't visited in a while because the new job has sucked my life away, but what great news to return to! An inside job, indeed. Congrats congrats! I'll secretly be proud when you become crazy famous and I was one of those (many) early followers from years past. Your blog is still my favorite food blog to date! awww, thanks for being there for so long, Hailey!! Welcome back, Sarah!! And thank youuu!! Great book Amelia and lovely site as well. I have started a small scale publishing company www.cookeryclassics.com in order to bring long neglected cookery books back to life as updated editions for iPad. BTW I have been working on my book for the last two years (it is now slowly inching towards that glorious end). And though it is being published in India by Harper, it has been a fun but difficult ride. So really really wish you all the best. This is the best kind of news. Though I am not much of regular commenter, I am a regular reader, and yours is by far my favorite food blog. You have a terrific voice, and I'm thrilled that I'll get to read your book. Congratulations! YES! CONGRATS! I have to say, not only do I personally find inspiration from the food you make, there are also some days where perhaps the world is going through the same universal struggle, and I find your life insights to be very helpful as I sit in this office of white and think about what to make when i get home. Congratulations, Amelia! Can't wait to get my hands on a copy of your forthcoming book. Love the analogies you shared in this post. that's super cool. Thanks so much! That definitely calls for a celebratory sundae! Congratulations, what exciting news!! Love all your recipes, you're on the inspiration page of my blog www.beautyandsomebeef.com. Keep up the good work!! Thanks so much for this comment, Bianca! So sorry that I'm just responding now. And please, keep on, keeping on!! Oh my goodness I love all of these this-es! !